I don’t know about you, but especially during these times of social uncertainty and unrest, I am finding a particular comfort in my home. 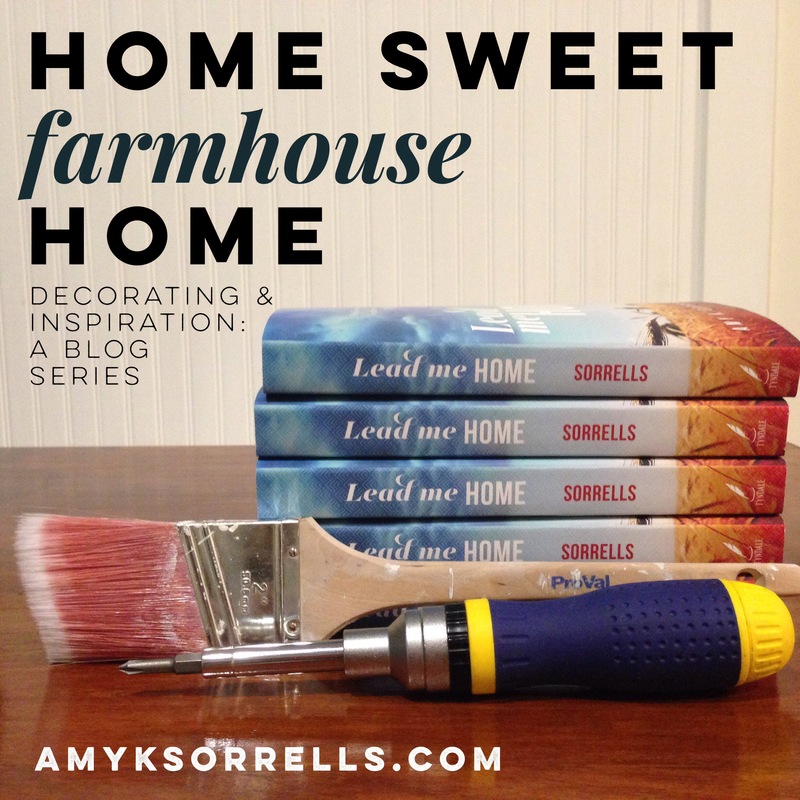 While my other Home Sweet Farmhouse Home posts have focused on projects, I wanted to write a little bit about collections. The sort of collections that make a home…well…home. So much love, so many memories were happening all around Mary when Jesus was born. She didn’t have a Creative Memories scrapbook consultant (I was one back in the 90’s!) down the street to help her save all the memorabilia, or a smart phone to document the visitors and events in real-time. So she pondered, cherished, and held the memories close in her heart. I’d be willing to bet she pocketed perhaps a smooth stone, a swatch of fabric from baby Jesus’ swaddling clothes, a snippet of wool from the sheep they shared the cave with. My ancestors were farmers, and several of my cousins still are today. 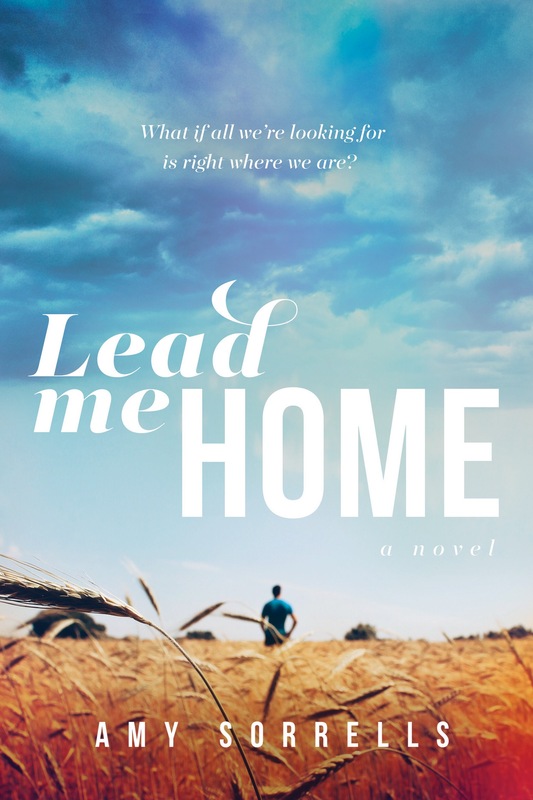 Indeed, if you’ve read Lead Me Home then you know that my dairy-farming cousins were the inspiration behind this novel. No wonder I collect paintings of barns. These paintings in particular, belonged to a friend’s mother, so not only do they remind me of my heritage, they remind me of the special place from which they came as well. One of my dear friends, Sharon, painted this barn (below). You really should check out her work here. She’s pretty amazing. 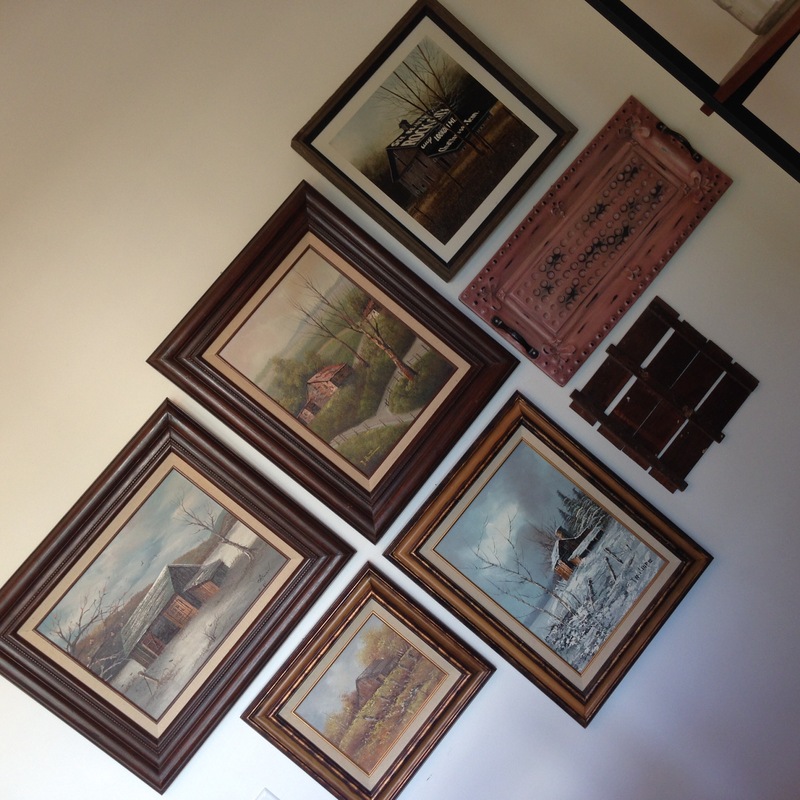 All of my barn and farm paintings are in my dining room. That’s one thing I’ve learned about decorating with collections: grouping things makes them stand out. 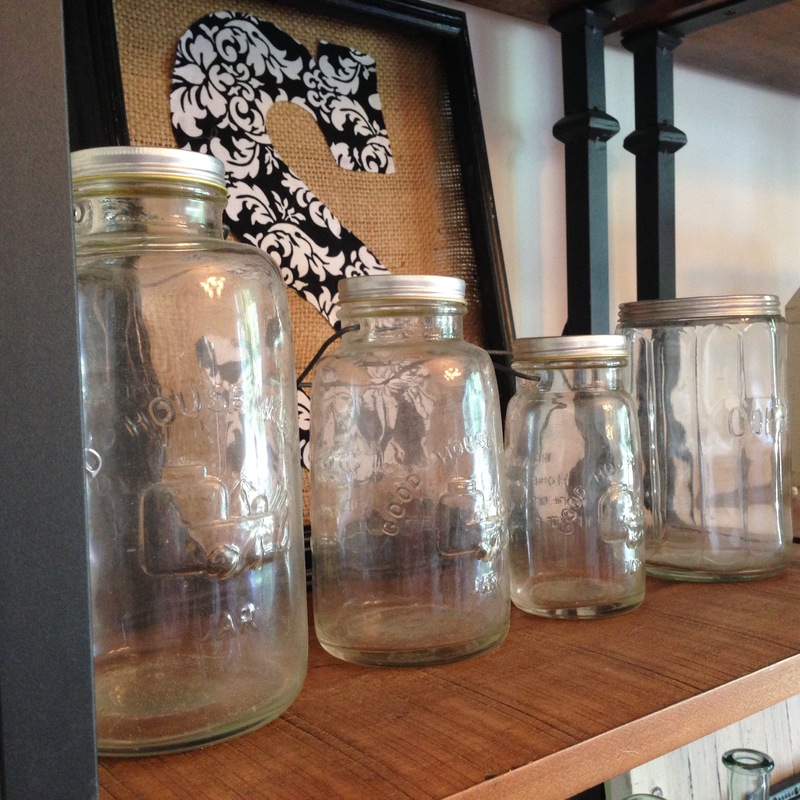 Like these pretty glass jars. I don’t have a particular memory associated with them, but I like them. 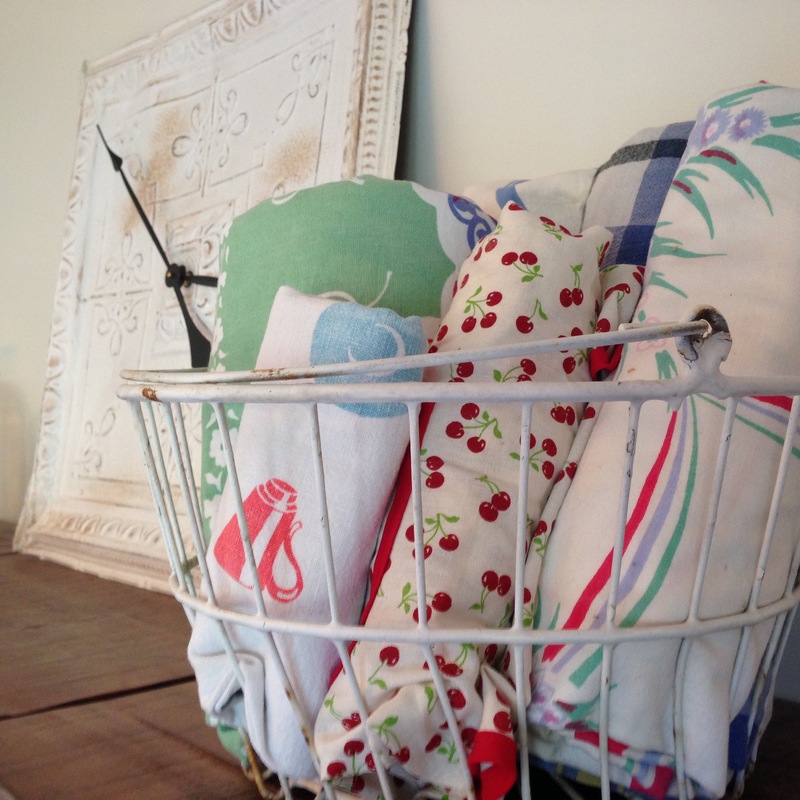 Same thing with these vintage tablecloths. Some of them belonged to my grandmother. Others I’ve just collected over the years. Putting them together in a little antique wire basket makes them look neat and special. 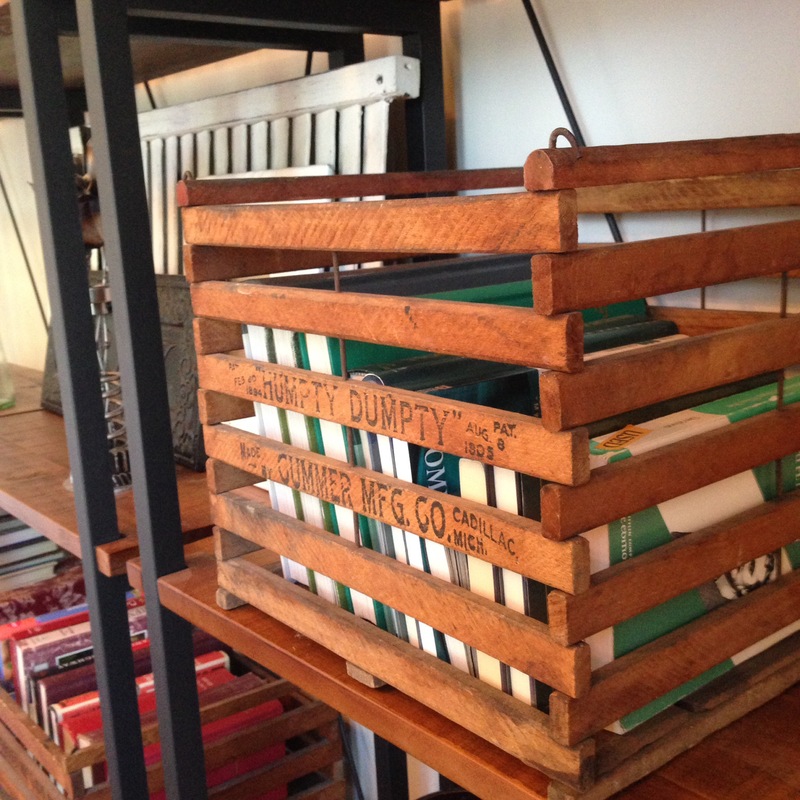 I have two of these chicken egg crates, and I use them for books on my bookshelves. These rocks belonged to my grandfather, who was a hobby lapidarist. He cut and polished these himself. He was also the inspiration behind my novel, Then Sings My Soul. Keeping these beauties in a cigar box in the basement wasn’t doing them any good. Now they are front-and-center on my mantle in a bowl I found at Goodwill. I smile and remember Grandpa’s glee at showing us a new stone he’d been working on each time I walk by these. Who doesn’t have a few of these around from a trip to the beach? We love our trips to the beach. 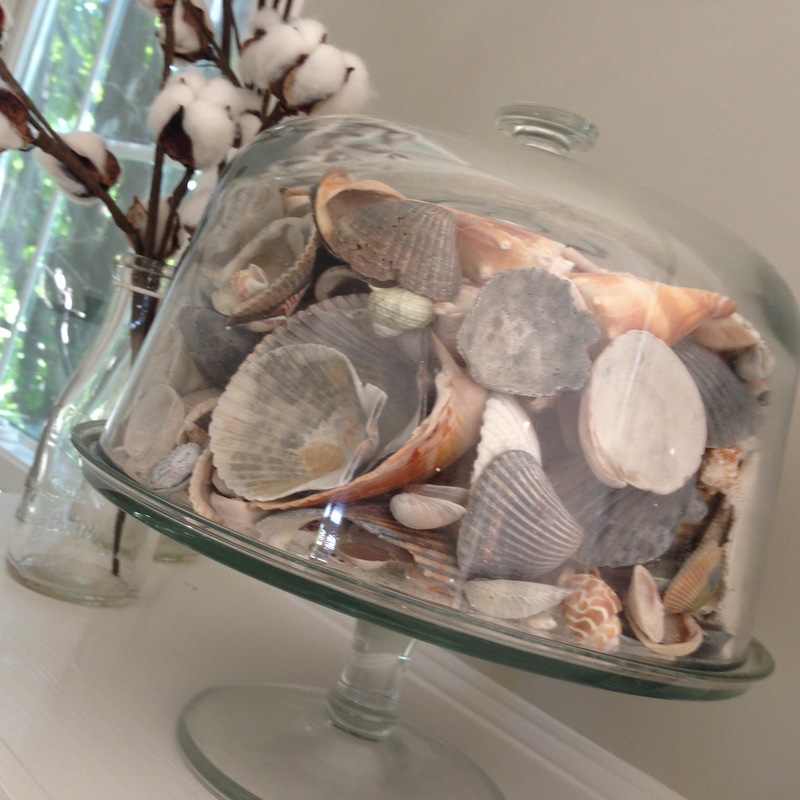 The vase of cotton sprigs and these shells, all together in a cake stand, remind me of steamy southern nights on the Alabama gulf coast. No wonder I was inspired to set my first novel, How Sweet the Sound, in southeast Alabama. This painting also belonged to my grandpa, the lapidarist. 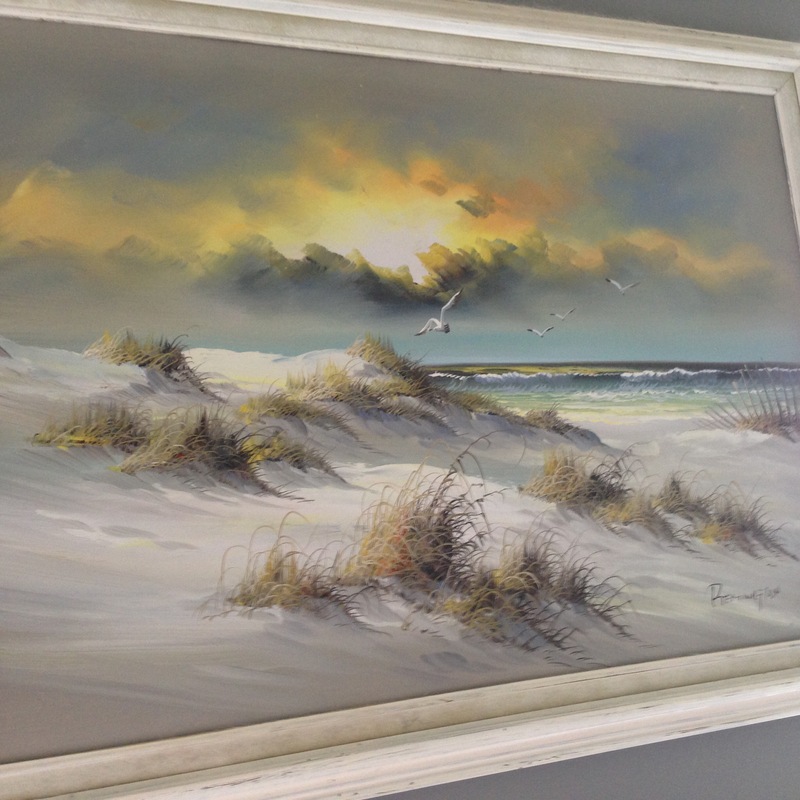 He spent a lot of time on Lake Michigan, and I am sure he liked having this in his home to remind him of the lakeshore when he couldn’t be there. This also inspired me to set Then Sings My Soul in South Haven, Michigan. The glass lamps have beach pebbles and pieces of driftwood in them that my family and I collected during our own trip to South Haven, Michigan. 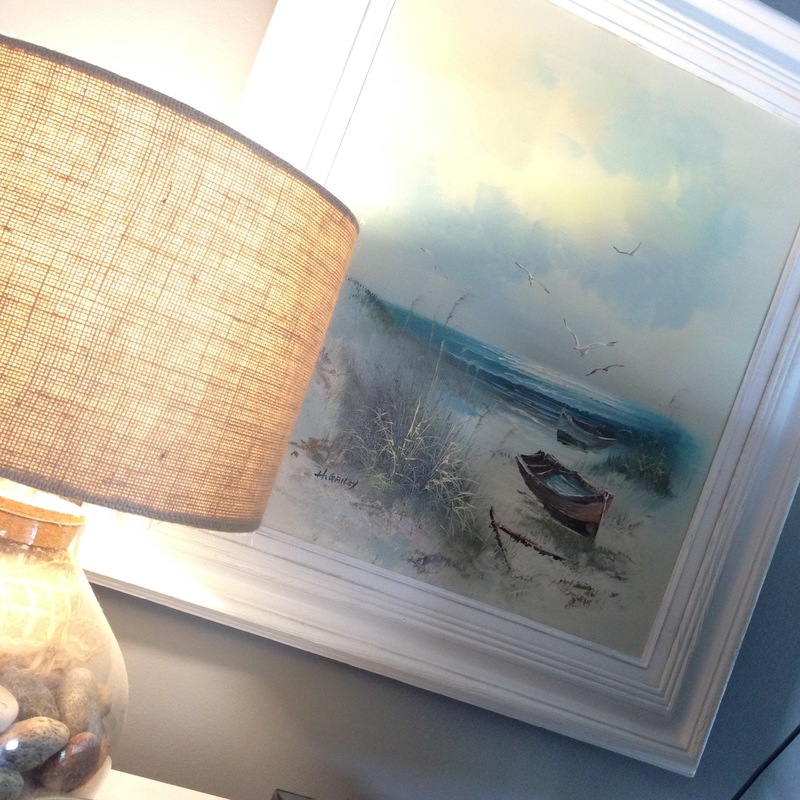 I hope you’ve enjoyed seeing some of the ways I’ve used collections in my home sweet home. How have you used collections in your home? May the Lord bless your home and the precious memories you ponder today and always. ← summertime real. a poem. by Fritz Karsh (Get the hardcover and remove the paper book cover) because the actual cover is AMAZING. This is such a neat book. I have it on my bookshelf and adore it. Your collections are unbelievable. 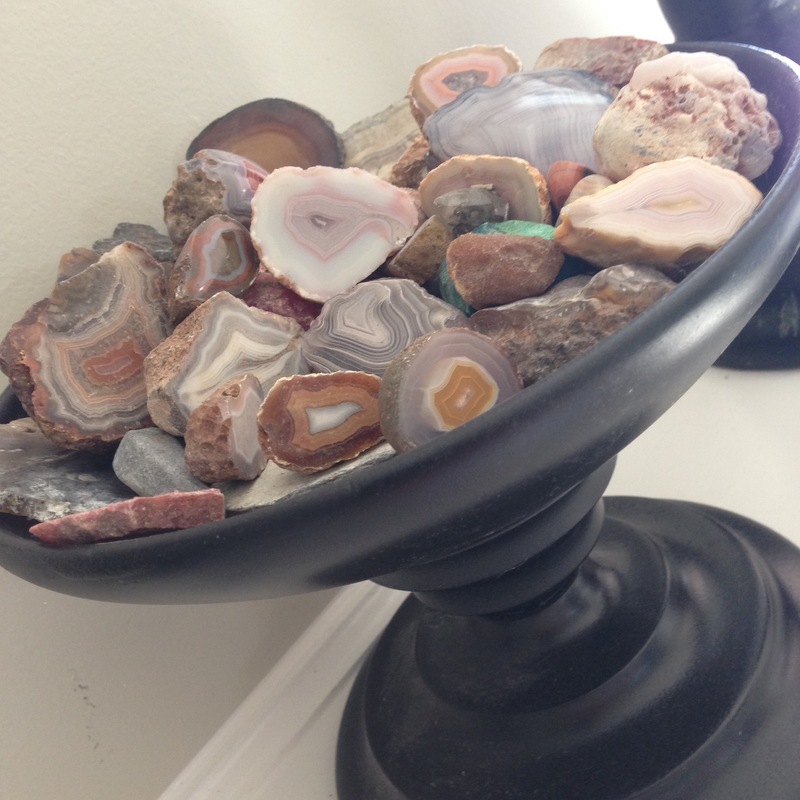 One of my favorite new collections is of the small rocks and petrified wood we found on Lake Erie on Spring break – we mounted them in under an antique bell jar on silver rods. 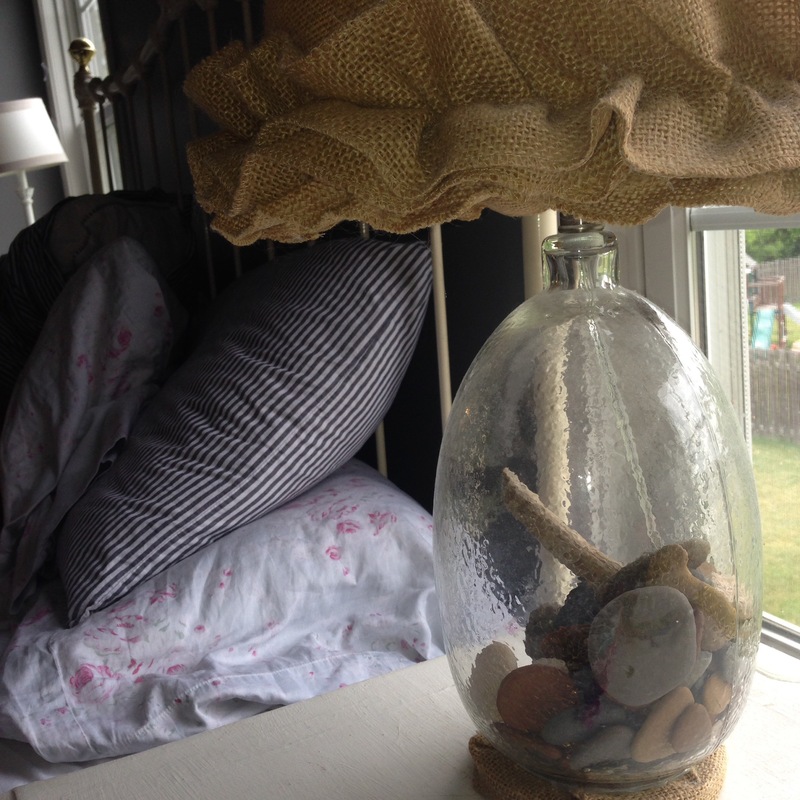 I love your rocks, shells and lamp!! WOW WOW WOW….you continue to amaze me friend! Thank you for all you do. This is the first time I’ve read your blog, oh my how it blessed my heart. I used to have many, many different collections, but after my husband and son died I scaled back a lot. Now, it’s birds, Bible verses displayed around my home, books- lots of books and pictures of special times of family and friends. Again, thank you! Thank you so much for visiting! I’m so grateful it blessed you! Abundant prayers and hope to you! 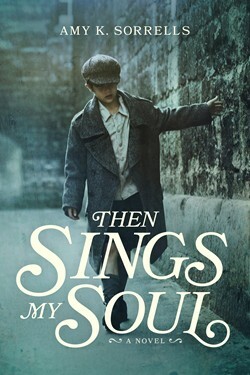 Amy , I just started read “Then Sings my Soul “my daughter Sharon Brooks sent me a copy, I was thrilled to see her work on you page. She is indeed an awesome artist, starting at age 3 and never stopped. I love that about her. Looking forward to more of Amy. Thank you so much, Gloria! I’m thrilled to have her work in my home! Thank you for encouraging her gifts! Hi Amy! Loved your collections. Mine are animals, mostly sheep. Have a display case full of them. In real life, I prefer dogs. Have two at home.The sheep collection is special to me as we are soooo like them. Thank God for our Shepherd Jesus as we so easily stray. God bless! So true, Jackie! How we wander without Him! Thank you for visiting my site.